Bed bugs are on the rise in the United States, and Seattle is no exception. In fact Seattle has one of the most pronounced bed bug populations in the country, and it doesn’t appear to be clearing up any time soon. Bed bugs are sneaky little bugs that like to make their way into our homes by hitching a ride in our suitcases, and you never know where you could get them from because they show up in the most unlikely places, like a 5 star hotel! Luckily you can turn to Northwest K9 Bed Bug Detective. Through the use of innovative techniques and our incredibly thorough K9 bed bug detectives, we can offer you Seattle’s best bed bug inspection and removal. 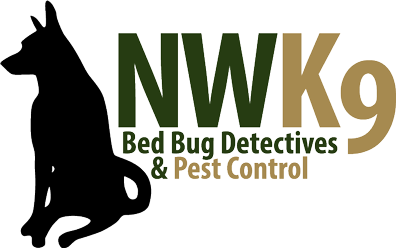 The use of bed bug detection dogs in Seattle is the most accurate way to inspect your house for bed bugs. Our incredible dog can smell things that humans only dream about seeing. Most people only have about a 35% accuracy rate, but our dog has an impressive 97% accuracy rate. Our bed bug exterminator in Seattle is one of the best in the business because we can offer you one of the safest and most effective bed bug treatments around. We will get rid of every last bug through the use of the latest and most innovative techniques. Although it is scary to hear about the growing number of bed bugs in our area, if you get bed bugs you don’t have to be stressed or worried because we have a solution that you can rely on. Enjoy the peace of mind in knowing that we have you covered and give us a call today to schedule your inspection.